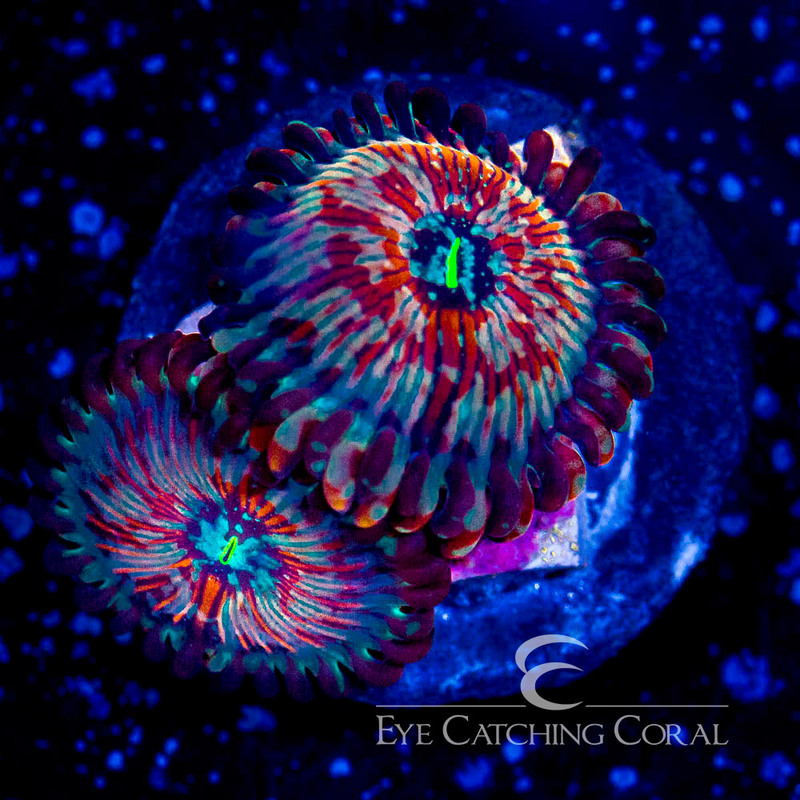 ECC Seduction Palythoa are a rare morph that is sought after by many collectors. 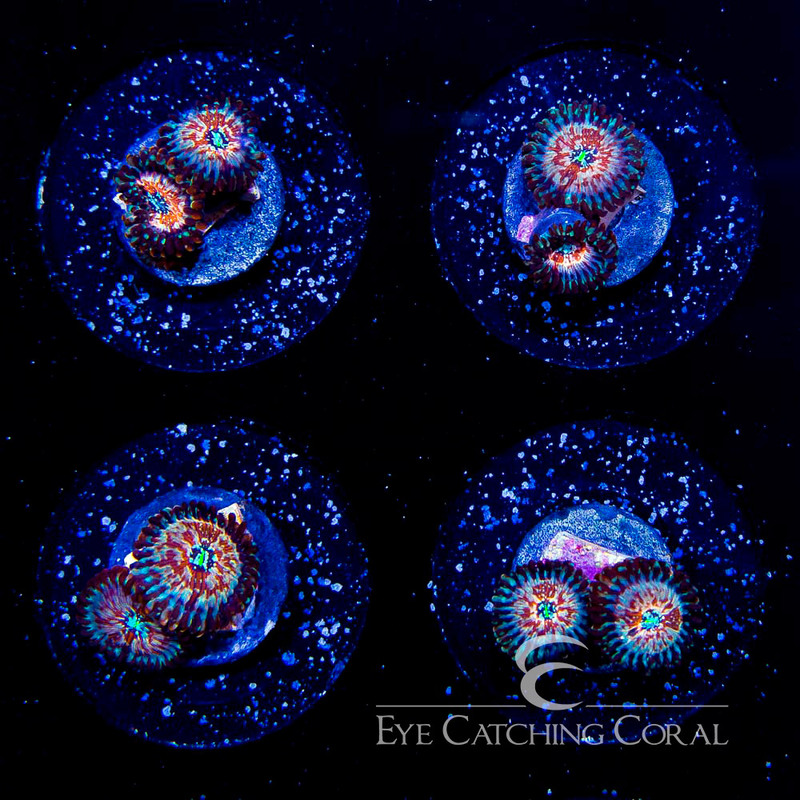 The oral disc has bright red strips that radiate out from the mouth with cool blue spotting over them that fades into the tentacles that have a bright red tip. We got this palythoa from A Reef Creation in mid 2018.